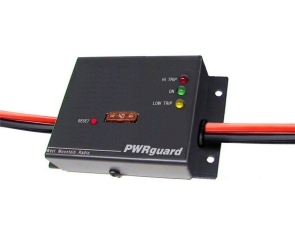 PWRguard protects the radio, the power supply and the battery from damage. It is an automatic safety switch that is inserted between a power source and the load. It switches OFF whenever the voltage is over 15 volts or under 11.5 volts. It handles up to 40 amps, and uses an FET....no relays.... to switch. PWRguard is ideal for use with a PWRgate and a radio. If your power supply loses regulation and goes high, the PWRguard turns OFF, thereby protecting the radio and the power supply. If the voltage drops down below 15 volts again, the PWRguard automatically turns back ON. If a PWRgate has switched to battery, and the AVERAGE voltage goes below 11.5 volts, the PWRguard will turn OFF, thereby protecting the radio, and preventing a total battery discharge. The PWRguard will turn ON again only when the power supply comes back on. The PWRguard comes with two 6-inch wires with Powerpole® connectors, ready to plug into the PWRgate and the RIGrunner. The speed can be adjusted from 5 to 50 wpm. There�s a built in sidetone for listening or practice, an output for your own speaker, and a direct paddle output too. The paddles are gold plated. They won�t tarnish. It weighs 1 Lb, heavy enough to keep the keyer from traveling during use. It can be programmed for 32 functions and has two 80 character memories for CW messages. It can be powered from your station�s 13.8 VDC supply, or you can install a 9 Volt battery internally. Comes with a 6 ft DC Cord with Powerpole®, a 6 ft connecting cable, a 3.5mm to � inch adapter, and an Operating Manual. RIGrunners are the most convenient and safest way to connect all your 12 VDC equipment to a 13.8 volt power source. They all use the Anderson Powerpole® connectors. This is the Amateur Radio ARES & RACES, RSGB, and ARRL recommended standard. RIGrunners handle 40 amperes total and have LEDs that back light the fuse if the it is blown. 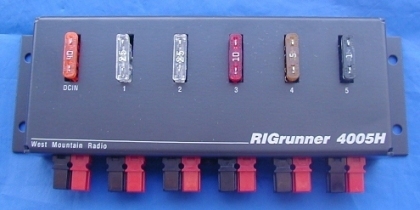 RIGrunner Accessories include: Crimp Tool, Power Gate, Power Guard, Automatic Power Off Switch, Batteries, Battery Box, DCtoGO, WhattMeter, PWRbrite LED Light Strip, Powerpole® Connectors, Power Supply Cables, Extension Cables, Fuses and Black/Red Zip Cord. The Powerpole® connectors on these new RIGrunners are mounted on the side. This favors horizontal mounting. The cables can lay flat against the surface for neatly organized wiring. The new Anderson retainer clips may be used to secure the connections. The 4005H, one input and 5 outputs, is available now. Our "complete" 4005H comes with 6 Powerpole® pairs, a 6-ft Power Supply cable, and 6 retainer clips. The 4008H, with 8 outputs, will be available at Dayton and online after May 18. Our "complete" 4008H comes with 12 Powerpole® pairs, a 6-ft Power Supply cable, and 13 retainer clips. This model also includes two USB Ports for charging MP3 Players, iPods & any device that charges from a USB port, 5VDC @ 1A. Really handy in your mobile set up. RIGrunner Accessories: Crimp Tool, Power Gate, Automatic Power Off Switch, Batteries, Battery Box, DCtoGO, WhattMeter, PWRbrite LED Light Strip, Powerpole® Connectors, Power Supply Cables, Extension Cables, Fuses and Black/Red Zip Cord. 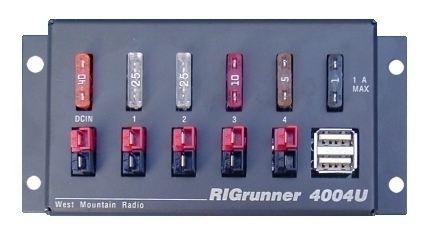 West Mountain Radio now produces RIGrunner models for 24, 48, and negative 48 volts. They are set up for use with two and four-battery systems or their equivalent power supply voltages. They are being used commercially in such places as aircraft maintenance shops, cell phone towers, lighthouses, repair benches, laboratories, universities, workshops, and equipment cabinets. We presently stock RIGrunner 4005s for 24 and 48 volts, and RIGrunner 4008s for all 24, 48, and negative 48 volts. Other model RIGrunners may be ordered with these voltages. If you are interested in these special RIGrunners, please send us an email. We will provide you with the spec sheets, and will quote from one unit to any quantity. Also, let us know what fuse values you want. Attention RIGblaster pro owners and anyone who wants better transmit audio. Any modern computer is a very powerful platform for audio processing; so powerful in fact that all of today�s recording studios are computer based. 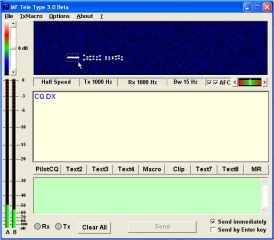 This capability is widely used in Amateur Radio in the form of sound card software for communicating computer to computer but what most hams do not realize is that a computer also has amazing capability for voice communications. The RIGblaster pro is all set up to process transmit audio with any audio processing software. Up until now software was very expensive overkill recording studio programs or simple but not free amateur radio applications. Everyone with a RIGblaster pro, who is interested in having outstanding transmit audio, should try this new program from VE3NEA. 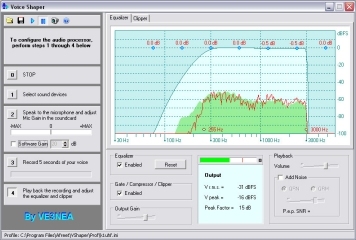 Voice shaper uses the extreme power and high fidelity capabilities of a computer to do transmit speech processing. This includes a seven band equalizer, band pass filter, noise gate, speech compressor and RF envelope clipper. The old fashioned analog equivalent of this software would have over 12 potentiometers and 5 switches, not to mention a CRT with an audio spectrum analyzer! 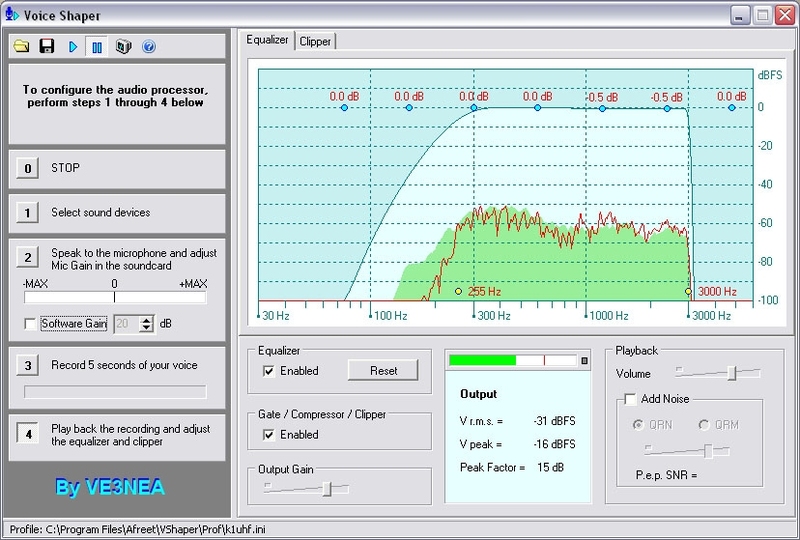 Voice shaper is very sophisticated but optimized for amateur radio and easy to use. Download and try it now at dxatlas.com and stop by our booth at Dayton for a demo. 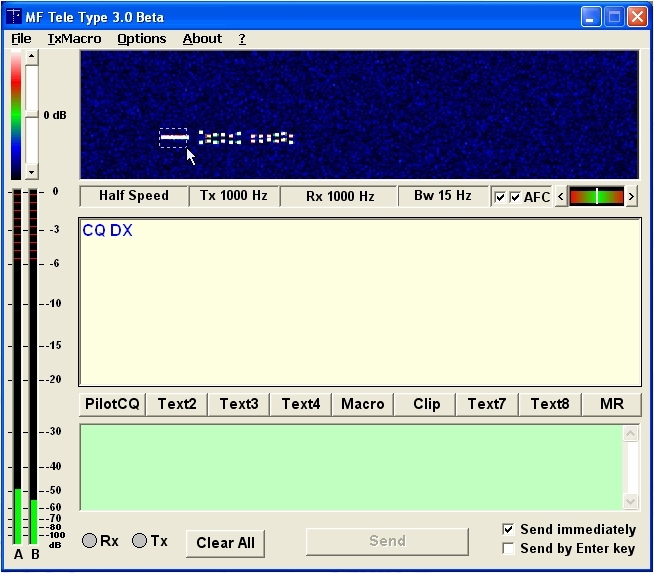 MF TeleType is a program for amateur radio digital mode communication. It is an easy to use program that provides reliable keyboard to keyboard text transmissions over long distances. Sound card encoding and decoding is based on well known and very reliable DTMF (dual-tone, multi-frequency) signaling. Download and try it now at polar-electric.com/MFTT/ and stop by our booth at Dayton for a demo. "MF Tele Type Screen shot"
One of the more common topics at the Tech Support desk here at West Mountain Radio is about using Ham Radio Deluxe. Example: "I have an Icom 756 Pro II, a Rigblaster Pro, and I want to use Ham Radio Deluxe. PSK works fine with other programs, but not with HRD. I see the level light with audio, but no c.s. light or PTT light on the RIGblaster. The radio however keys up, but the rigblaster passes no audio. HELP!! I am using DM 780 for PSK." We have always emphasized on our Web Site, in our Literature and in our Owners Manuals that unless you have had a significant amount of experience doing Amateur Radio Sound Card Digital modes, you should follow the old expression "Walk Before you Run". What we mean by this is definitely do not make Ham Radio Deluxe (DM780) your first attempt at digital modes because it is, by no means, easy to do. We have always suggested using WinPSK as a simple, easy to use, get started program for "Getting Your Feet Wet" in digital modes. Then after you have some experience with that, move on to a more complex set of programs like Ham Radio Deluxe and DM780. For this Tech Item however we are going to address the issue stated in the Example above as it is a classic example of the problems our customers face with Ham Radio Deluxe and DM780. First we need to state a few basic facts about Serial ports, Computers, Windows, RIGblasters and Ham Radio Deluxe. 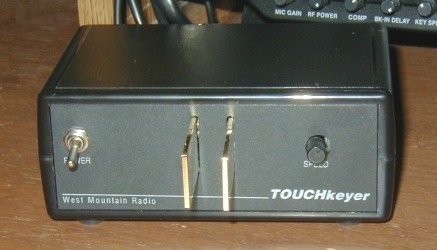 Almost all Amateur Radio digital mode programs need one or more serial ports. Serial ports can be either real (hardware) or emulated (using a USB to Serial Port Adapter). These days, not many computers have real serial ports which is why all of our RIGblasters are USB capable. Emulating a serial port in hardware, means the connected device thinks it is connected to the computer via a real serial port. Emulating a serial port in software, means the application program thinks it is talking to a real serial port. This does satisfy the serial port requirements of most Amateur Radio application software and if properly configured will work just fine. Windows will not allow the use of the same serial port in two separate programs at the same time. This is the reason you cannot use the same serial port to do Rig Control in Ham Radio Deluxe and PTT in DM780. All RIGblasters enable digital modes by interfacing the audio OUTPUT of a radio to the audio INPUT of a computer, by interfacing the audio OUTPUT of a computer to the audio INPUT of a radio and by utilizing the serial port to place the radio into transmit mode via the serial control line, RTS or DTR. RIGblaster pro also provides the rig control interface required by Ham Radio Deluxe. RIGblaster pro has a built in rig control interface which can be enabled on either the A or the B serial port for added flexibility. The RIGblaster pro connects to the radio via the mic connector on the radio. When the RIGblaster pro is placed into the TRANSMIT mode, as a result of signaling on the RTS line of the serial port, the internal switching in the RIGblaster pro disconnects the attached microphone and feeds audio from the computer into the radio's mic circuit. When the RIGblaster pro is not in software commanded TRANSMIT mode, the microphone remains connected to the radio enabling normal SSB mode of operation. Ham Radio Deluxe can be a somewhat misleading term in that it refers to both a package of software and an individual program. As an individual program, Ham Radio Deluxe is NOT a digital mode program but it does do Rig control, Integrated logbook (eQSL and LoTW capable) QRZ interface, Mapper function, Remote Control, DX Cluster and Bandscope. As a package Ham Radio Deluxe contains two distinct and separate digital mode programs, Digital Master 780 and PSK31 Deluxe. Both of these programs can run with or without running the program, Ham Radio Deluxe. We did have a phone conversation with this customer and did resolve the issue. He was attempting to use the digital mode program, DM780 to do PSK31 while using Ham Radio Deluxe for those rig control features listed above. DM780 was set to use Ham Radio Deluxe to key the radio via a rig control command and that was working just fine causing the radio to go into transmit mode. However the customer did observe that neither the c.s. LED nor the ptt LED on the RIGblaster pro were on. This indicates the RIGblaster pro was NOT in transmit mode and that is why, as stated above, it was not switching audio from the computer into the radio. The solution to this issue was to incorporate the use of a second serial port connected to SERIAL/COM RS232 IN/OUT B on the RIGblaster pro. Then set the jumpers on the R16 jumper block inside the RIGblaster pro to do FSK,PTT & CW on the SERIAL/COM RS232 IN/OUT A and Rig Control on SERIAL/COM RS232 IN/OUT B. This is accomplished using configuration #4 in the RIGblaster pro Owners Manual describing R16 jumpering. Ham Radio Deluxe was configured to use the serial port attached to RIGblaster pro SERIAL/COM RS232 IN/OUT B. DM780 was configured to use the RTS line on the serial port attached to RIGblaster pro SERIAL/COM RS232 IN/OUT A. Now when the operator told DM780 to transmit, the RIGblaster pro and the radio went into transmit mode (both the c.s. LED and the ptt LED on) and audio was passed to the radio and everything worked fine. This item is also available on the RIGblaster pro Support page of our website. This Tech Note applies only to RIGblaster Data Jack plug&play owners using certain Kenwood radios. We have learned that operation is not consistent from model to model on Kenwood radios with a rear panel 13 pin ACC socket. On the FT-450, 570, 690, 870, 950 & 2000, the radio will go into transmit mode and gate audio into the modulator only if pin 9 is grounded. On the TS-440 and TS-940, the radio will only transmit when pin 13 is grounded. On these Kenwood models, pin 9 is used to mute the mic. This is a potential cause for problems for those Ham Radio Deluxe users that are attempting to use DM780 with Ham Radio Deluxe and letting Ham Radio Deluxe control PTT via a CAT command. In this case even though the radio goes into transmit mode and audio is present at pin 11 the radio will not be modulated and no RF power out will be apparent. The solution to this is to run DM780 standalone and use serial port control of PTT via the RTS line putting the radio in transmit mode with pin 9 on the ACC socket. Thus we now have two versions of the RIGblaster p&p Adapter for Kenwood, one for Kenwood FT-450, 570, 690, 870, 950 & 2000 that activates PTT on pin 9 ONLY and one for TS-440 & 940 that activates PTT on pin 9 AND pin 13. If you have a Kenwood TS-440 or TS-940 and previously received (prior to April 2009) a RIGblaster p&p Adptr for Kenwood ACC2 13 pin DIN, please call us toll free at 888-WEST-MTN and request a new "RIGblaster Data Jack plug&play Adapter for Kenwood" for your radio. This item is also available on the RIGblaster Data Jack plug&play Support page of our website.